A profound knowledge of these trends may help you crack the best deal. Are you contemplating to take out a mortgage or purchase a house during the summer vacation of your children? If yes, then perhaps it is better to know about the current mortgage and housing trends. A profound knowledge of these trends may help you crack the best deal. Read along to know about the 4 mortgage and housing trends expected to prevail in the summer 2011. 1. Mortgage rates will not be very low: It is true that mortgage rates are not high now. But mortgage experts are of the opinion that mortgage rates may slightly increase in the remaining months of the year. There won't be a huge increase until the stabilization of economy. The mortgage rates will be low during the summer. But they are most likely to increase after that. So, if you're thinking to take out a mortgage, then you should contact lenders during this summer only. 2. Return of ARMs: The demand for the adjustable-rate-mortgages has substantially decreased ever since the crash of the housing market. However, the scenario is slowly changing. Borrowers are showing interests for the adjustable-rate-mortgages. In the past 2 months, a lot of borrowers have taken out adjustable-rate-mortgages. Statistics reveal that around 2% of the borrowers have opted for adjustable-rate-mortgages at the beginning of the year. But, now the figure has increased to 15%. 3. Plenty of foreclosed homes waiting for new owners: If you are planning to purchase a home in this summer, then there is good news for you. You can easily buy a foreclosed home at a low price. All you need to do is little repairing. You can renovate the house as per your requirement and live happily with your family. It has been observed that the foreclosed homes have been sold at a record low price in the earlier part of the year. The price of the foreclosed homes has been slashed by 27% from the standard sales prices of the houses. 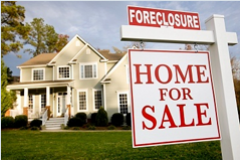 It is said that 33% of the homes sold in the first quarter of 2011 were foreclosed properties. Financial experts are saying that this trend is expected to prevail throughout the year. This means that a good number of foreclosed homes will be available in the market for the interested buyers. 4. Number of rental homes may increase: It has become quite easy for the people to purchase homes due to the low home loan rates and rapidly declining house prices. But is it more affordable to purchase a house rather than renting it? Probably yes. But research shows that the homeownership percentage has not increased at the present time. Rather, it is much less than what it was 10 years ago. If reports are to be believed, the number of renters has risen by around 692,000 every year. On the contrary, the number of homeowners has decreased by nearly 201,000 each year. 2. Rapid rise in the foreclosure rates, which has compelled the homeowners to become renters. If the rents keep on rising through out the year, then the people may become more interested in buying homes. If one can obtain a home loan at a favorable interest rate and manage his finances well, then it is better to purchase a home rather than renting it. Finally, Fannie and Freddie are most likely to lower the maximum loan limits of the jumbo mortgages after September. This is why the demand for the jumbo mortgages will be high during the summer. The homeowners, who live in the expensive areas and want to upgrade their houses, will want to purchase jumbo mortgage products now. Page loaded in 0.888 seconds.